Have you ever wanted to password protect part of your blog post or page, but display some content as well? 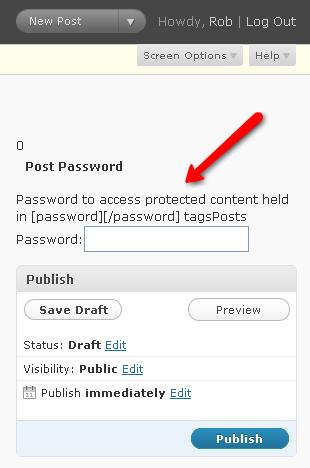 This little wordpress plugin allows you to show part of a post or page and then keep a portion password protected. Password protecting a post is easy, it’s the showing of partial content that’s tricky. This is not about password protecting part of your website, but part of a post. I’ve been looking for a solution to this for awhile now. I have a very popular natural health and weight loss website which publishes a monthly newsletter. Subscribers to that newsletter get my free report “How I Lost 300 Pounds – How To Lose 10 Pounds a Month, Every Month, Until You Reach Your Goal Weight”. Those who follow the directions in the report often go on to report that they’re getting the results and losing the weight while feeling much better. The free weight loss report is a way for me to offer some really great content in exchange for an email address. I’m sure you might be in the same situation. So, in giving them a place to download the material, on my download page, I also want to offer other reports to the general readership. In offering other reports of value, it’s a way to show them that by subscribing, the get the “big one”. I wondered “how do I password protect part of a post or page?” but not the rest. Apparently it can’t be done. Until I found this plugin: Password – Partial Post Protection (which didn’t work out of the box as claimed I might add). On that page, half way down it is the link. It’s tucked in between a few other wordpress plugins but a little hard to see if you just scan over it. What it does is add a little box above your publish section in the upper right hand corner of your write post page in your wordpress admin. It uses shortcodes as you see in the image and everything within the shortcodes becomes password protected. It’s a single file and out of the box it wont work. In order for the form to submit the password back to the page for authentication, you have to press the submit button (obviously), but the <input> field for the submit button uses type=”button” which does not submit the form. The next section of this post is password protected! And this part below the password protection is again available to readers without the password. This first solution does not make use of the built in password protection feature of wordpress. Funny enough, after looking for a solution to this for hours, I happened to read over the sitemap of a page I had open in a tab in my browser and found another solution to this. 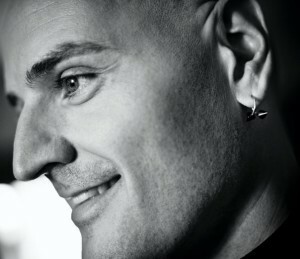 I haven’t tried his show the intro to password protected posts wordpress plugin, but I’m running a few others from him. This second solution makes use of the <-- more --> tag and actual wordpress post password protection. Seems to me that the first solution using short codes is a bit easier. So there you have it. If you want to know how to password protect part of a post or page in wordpress, these two plugins may do the trick for you as they have for me. Now, I can move forward and create the download page for my readers that hides the bonus report until the subscribe for the password. Was looking for something like the first solution. This has been a horrible thing to try to figure out for a friend and I who are using WordPress – although some of the stuff that is protected is actually free stuff, it requires a password to prove you’re an adult. Which is extremely important, obviously. But who even wants to bother getting a password for it when you can’t see what the rest of the post is about? So… thankyouthankyouthankyou! Now I can actually post stuff and not put a seperate page that lists what is in each with a link to each post, which would be SUCH a nightmare. Do you know of a WordPress plugin that allows me to password-protect my posts for multiple users? In this scenario, one user would have a password to give them access to certain posts, while another user has a different password to see a different set of posts. Is this even possible? @Bob, based on what I’ve seen when I was researching this, no, nothing out of the box that simple. Sounds pretty custom to me. Hey Rob, thank you very much for this great solution! Got one question though, if it’s possible to change the name of the submit button? Thanks in advance. Drop this into your functions.php for your theme. @Megi, I don’t. Thanks for the heads up to the broken page. Hi! I have a problem and I would be very grateful if you help me! how can I partially protect my posts by password? Hey, thanks so much for this article! Unfortunately the link to the plugin page is dead, do you know where I can find this plugin?? I’ve tried searching for it but I can’t find it anywhere. This plugin would PERFECTLY solve all of the issues currently causing me to pull out my hair.